The motion detectors and the door alarms work good. The cameras only have about a 60 degress angle viewing range, which in my opinion, a security camera needs at least a 180 view. Hey Gary - Thank you for your feedback. Customer service is very responsive and easy to work with. Hey Daniel - Thank you for your feedback. I like the overall simplicity of the service. It is very convenient and easy to use. It is a really affordable and it was just a very easy system to use. Every time I talk to someone on the phone they're always very helpful informative and they give very clear instructions. Customer service guides you through everything you need. I am really enjoying the service provided. Hey Veronica - Thank you for your feedback. They are better priced than other companies. Customer service is quick with answering and helping our questions. The service sometimes has connection issues, but other than that it is reliable. Hey Karen - Thank you for your feedback. Protect America was there for me when my alarm went off. The service works great. I liked that I was able to install the equipment by myself. I have never had a problem with it. Hey Judith - Thank you for your feedback! The devices aren't designed for all window and door frames. Hey Andrew - Thank you for taking the time to leave some feedback. Please reply via 'private response' with the full name and address associated with your account, so that a team member can contact you and help guide you through the installation process. Thank you and we look forward to connecting! They have always satisfied my concerns. Hey Jadonna - Thank you for your feedback! When talking to customer service, it doesn't seem like you are being rushed to finish. They are very patient and seem very accessible. They have different products that you can place in different rooms. The products hold their value. Hey Pawnee - Thank you for your feedback! The price is decent and comparable. I appreciate the great service that they offer. Hey Marvin - Thank you for your feedback! The product is pretty clunky. The price is affordable. Hey Warren - Thank you for your feedback! I wish customer service followed up on the service more. The service works very well, but I have had a couple issues with it. I will have to get it working better. Hey Ray - Thank you for taking the time to leave your insights. Could you please reply via 'private response' with the full name and address associated with your account? Once you reply with said information, a team member will reach out to you to work through any issues you may encounter. Thank you and we look forward to connecting. The tech team was very friendly but the quality of the product wasn't that great. It has a problem picking up audio. Hey Karla - Thank you for taking the time to leave some feedback. We understand that the quality of audio can be an issue at times. If you could, please reply via 'private response' with the full name and address associated with your account. Upon your reply, a member of our team will reach out to you and attempt to assist you with the positioning of your equipment so as to pick up a higher quality audio feed. Thank you again for your feedback and we look forward to connecting! Customer service was helpful with the installation. The service does exactly what it says it will do. I signed up because of the price. Customer service is pretty good at helping out. 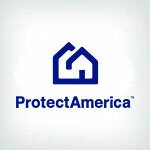 I enjoy the security offered by Protect America. Customer service is always available. If I make a phone call, they are there to take care of it. The price for the service is very reasonable. Customer service resolves issues quickly. I have been very pleased working with them. They are very patient and I understood everything they said very well. Their product best fits our needs. Customer service is responsive and successfully guided us through installation. They are very user friendly. This review is about the wonderful customer service I rec'd even tho I didn't install the system . I changed my mind due to no fault of Protect America & they refunded money I paid (unlike ADT which is unacceptable) and I appreciate their service. It is just a piece of plastic junk. There is no customer service. The security system has really given me peace of mind. I have had a great experience and it is really easy to install. It was easy to assemble. They assisted me whenever I had any questions about the system. Every time I need something, they are always there to help me. The set up was really easy and the system works exactly like it should. Their cameras do require Wi-Fi so that is important to know. They are alert and are always on time. Their services are very accurate. The customer service is great because they literally walk you through everything. The system is very current and easy to use. You can even gain access to it remotely. Everything works fine and is responsive. It is very easy to use. They have a large customer base. The monthly fee is fixed and I am really happy with the way it is. Their employees are very educated. There are a lot of unique features that I am very happy with. They were very good at helping me set up the system. It does what I have expected it to do and it has never really failed us. It is easy to use and user friendly. They are sometimes hard to get a hold of. I don't like the way the camera looks, and it is a little expensive. I do like knowing that I do have a security system that protects me. They are always there when I ask for help and they are very courteous. The batteries burn out pretty quickly, but I would recommend them highly to other people. I was referred by a friend and it is one of the most affordable systems out there. Thee were very thorough during the setup process. They try their best to make me feel comfortable. The key pad is very bulky, but I like the keychain. The alarm system was pretty easy to install and they even helped me do it. It is easy to use. Video surveillance was never really offered to me. The company is good and they have good equipment, but I think the alarm needs to be louder. They provide the best customer service and answer all my questions. Their sensors are outdated. The equipment looks as good as any alarm system. It was easy to install, easy to set up, and I get information for each one every time it's either turned on or turned off. I think when working with the sales agent, he gave me a very nice rate, especially since I was setting up two accounts with them at the same time. The customer service was quick and I kept getting reminders of needing to get it set up. When we call them, they are picking up the phone early and clear all of our doubts. The equipment is very good. The customer service was very timely and informative. The customer service was great but they did forget a couple items out of my box. Everything seems to be working great. The channel and alarm for the doorbell, everything's great. Sometimes they had some confusion with their service reps but the overall capabilities of the services were available. It's a state of the art type of equipment. I like the quality of the video sensors and the ease of use and the customer service is good. I never got through with the agent and I got sidelined a couple of times. Somebody always answers. Everything was great. The equipment is working well and the set up was easy. They always provide the right kind of information. If the alarm went off accidentally or anything like that, they always call promptly. So far, no problems. They're always there for us. They're always very helpful and timely. It is so easy to install. Customer service always answered my questions very quickly. The equipment is really efficient. Someone will open the door and they will detect it and will call me right away. The sales person answered all of my questions and I called back two, maybe three times, and every time the issue I was calling about was solved. They explained how to install something and they ecplained to me. They were very nice. Everything was easy. They've given me all the right information and whatever I asked. The equipment is handy, easy to configure and install myself. It's user friendly. The customer service gives prompt responses. The customer support gave me a reply really quick. The equipment was pretty up to date. I just looked up several online and Protect America responded back quickly and were on top of everything. It always works.